California trucking companies are hiring drivers to haul California freight locally, regionally and OTR. 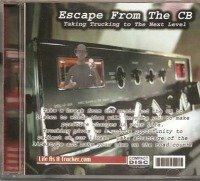 Local truck driving jobs in California usually go to experienced drivers. However, if you have a CDL and they need a driver bad enough you just never know what will happen. You might not have found the type of trucking job your looking for. Not all companies have other than traditional over the road trucking jobs. They may not need local or part time drivers. If you stay in an area with plenty of manufacturing your chances are greater. 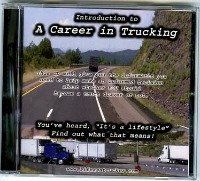 Also, some of you who are just looking to start your career as a trucker may find that you need to first get experience as a trucker over the road before qualifying for local, regional or part-time jobs. Generally speaking, you also just want to be super aware of your surroundings. You may have driven right by large manufactures or even small trucking companies and not noticed them before. You need to pay attention as you are driving so that you know what California companies are actually in your community. Keep your eyes wide open and even ask people if they know of local companies with trucks. There are also tools available to help research for what types of companies are in your neck of the woods. Manta.com can help you find trucking local California companies. Put in the city and then search. Then click on manufacturing. You will see list of companies. Click on the company profile and you have information including their phone numbers. You can simply call and see if they are hiring drivers. Or you can use the map and locate the ones closest to you and go in person. This will return a site with information that tells you what is coming up in the area as far and business goes. If there is a major company coming in or information that affects the future economy of the location, it will be announced. It may give you advance information that most of your competing job seekers will not be aware of. use Wikipedia as a resource for research to find what drives your local economy. You can get an overall view about what business sectors are big in your The Golden State. This may give you insight on where to seek trucking jobs. You can of course also search your city/town in Wiki for a more specific look at your communities it sector. Many drivers look at California trucking like it's driving in another country. Trucking in California can be a lot different than in many other states. California has split speed limits for truckers. it is 55 and for cars it get up to 70. Even with all it's vast desert the California speed limit for trucks is 55. When traveling slow going up mountains in California you don't supposed to put on hazards lights, in every other state you Must put on your hazards below 45mpg. The scales especially Banning can take 15 minutes or more off your trip and that's without being taken around back for inspection. You'll get a glimpse of me going into a Cali Scale in the video. There are many trucking jobs in California hauling everything from produce to milk. I like running in and out. Mostly because it just takes so long. For higher pay, I don't mind running California. The landscape is beautiful and the change of scenery keeps your eyes wandering for new discoveries (or landing spaceships) Windmill Farms, Sand Dunes, Mountains, Oranges. If you ever get a chance to ride the I-5 corridor it may slow you down in certain areas but the scenery is mesmerizing from oceans to farmland of fresh fruit and veggies.